1. Fast charging: Dual-USB Allows you to charger two mobile devices simultaneously at high speed.Save more time. 2. Light and portable: This compact usb wall charger is designed to fit in your pocket, bag, or carry-on bag. 3. 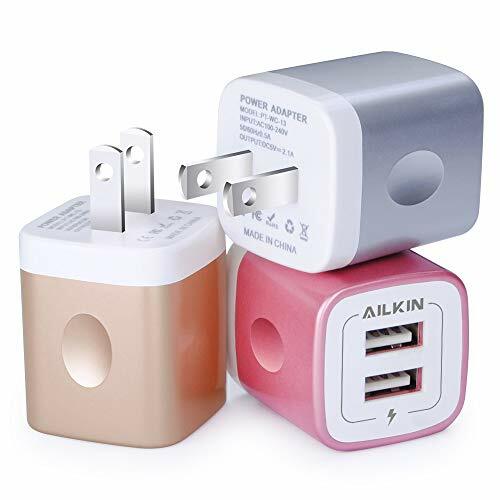 Multi-use: This charger works just as well as home as it does in the office or while travelling. 4. Using simple: Simply just plug it in, attach any existing USB charging cable, and its ready to go. 5. Safe and Reliable: Charging begins and ends automatically when the battery is full. manufacturer 1-year Limited Warranty and superb customer service.